Leading turfgrass specialist, Marcela Munoz, hasd been appointed as theSyngenta's new Technical Services Manager for Turf & Vegetation Management. Moving to the UK from Chile, Marcela has extensive knowledge and experience of turf management and scientific research in the US and South America. 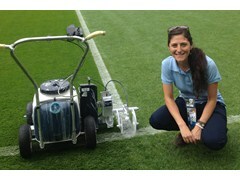 Most recently she has been working for the STRI, as a turf agronomy consultant to FIFA for the successful delivery of the 2014 World Cup pitches. 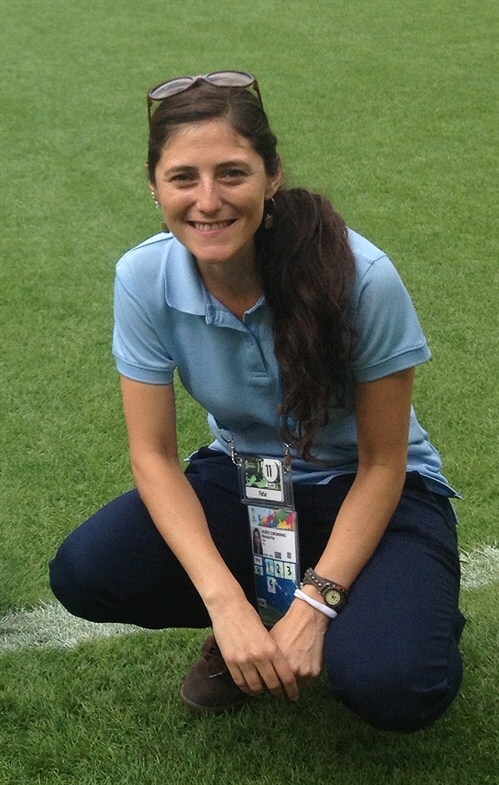 Marcela is an International Committee Member of the Sports Turf Managers Association of America (STMA) and Leader of the Global Turf Network. She holds an MSc in Turf and Turfgrass Management from The Ohio State University, where she also undertook research and on-course turf agronomy projects. Based near Cambridge, Marcela (above) will work closely with the Syngenta Turf Research facility at Stein in Switzerland, as well as independent researchers, agronomists, greenkeepers and sports turf managers across Europe, Africa and the Middle East. Her role includes commissioning pioneering research to maintain Syngenta at the leading edge of turf science, as well as delivering the results back to the industry in the form of practical solutions to help create consistently better playing surfaces. Marcela's appointment will commence in early December. She replaces Dr Simon Watson, who has moved to Singapore to head up the Syngenta Turf technical team for Asia Pacific and Australasia.